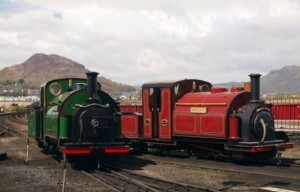 The Ffestiniog Railway is the oldest independent railway in the world, dating back to 1832. The railway was originally built to transport slate from the local quarries and three of the original 150 year-old locomotives still remain in operation to this day. 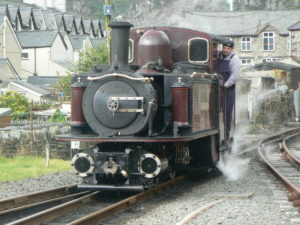 The award winning Ffestiniog Railway is one of the top tourist attractions in Snowdonia, and allows visitors to enjoy the stunning scenery in a unique and thrilling way. In addition, the trains pass through areas that are inaccessible by any other means, giving passengers a really special and exclusive experience. Let Ffestiniogs comfortable and historic carriages transport you not only through some of the most majestic countryside in the UK, but back to the golden age of travel, demonstrating rail travel as it should be. The Ffestiniog Railway covers 13.5 miles from Porthmadog Harbour to the slate quarry town of Blaenau Ffestiniog. In addition, passengers can experience the luxury of the Welsh highland Railway which covers a 25 mile track from Caernarfon to Porthmadog, where you can ride in a first class Pullman luxury carriage and have freshly cooked food delivered straight to your seat. 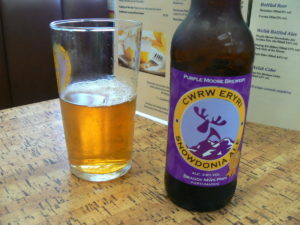 This is a special fundraising event which takes passengers on an 80 mile round trip of both the Welsh Highland Railway and the Ffestiniog Railway. The Snowdonian promises to be the highlight of the 2016 schedule for the railways. The 12th annual beer festival will be celebrating all that is great about beer, music and trains. Jazz in the Park – various dates during July and August. An ever popular event incorporating the best jazz musicians and delicious BBQ food, held at Tan y Bwlch. Based around Dinas station this event features model railway layouts as well as plenty of real trains to explore. The event will also feature, food, stalls, games and entertainment – one not to be missed. The Victorian weekend is an opportunity to step back in time and experience the nostalgia of that golden age. Along with the actual locomotives, the town of Porthmadog will be transformed into a living Victorian museum. Come and experience the trains, shops, fairground rides and costumes of the time. There are also Victorian Christmas themed events running throughout December.